Written by Felipe Azenha & filed in Arts, Retail, Urban Daddy. 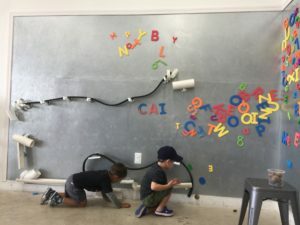 Today my 5-year-old son and I hoped on our bikes and headed over to crush some arts, crafts and science at The Poppet Project in El Portal. For parents looking to do something educational and different with their children it’s definetly worth checking out. The Poppet Project is awesome and the staff were totally cool considering my son did his best to make as big a mess as possible. Unglue your kids from the iPad and head on over. Prices start at $14/hour for the first child and includes all materials. You can also schedule private parties. Tell them Urban Daddy sent you. 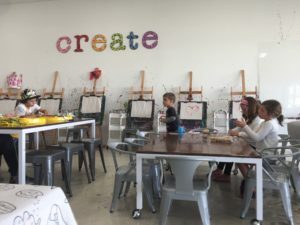 “We are a children’s drop-in art, craft and science studio. 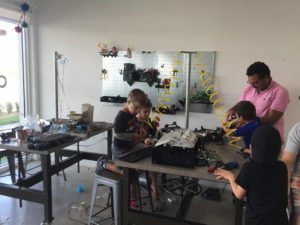 We’re open all day for you to design, tinker, create, and explore with your children. Our planned projects rotate constantly, so every day is a new exploration. 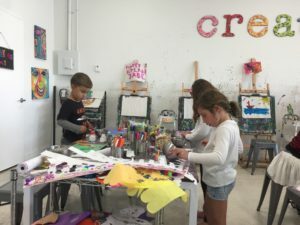 Budding artists will love our art supplies, crafts, and collaborative masterpieces. Little tinkerers will find oodles of things to take apart and build. Plus, future scientists will have plenty to experiment with. 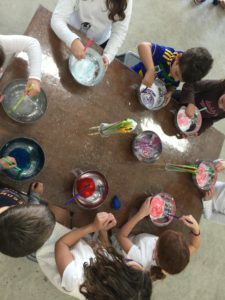 Who doesn’t like making slime? Get your Arts, Crafts & Science on at The Poppet Project! A little tech demolition anyone? 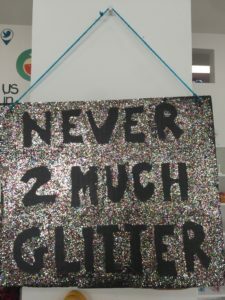 Getting creative with a little glitter and glue.